Amuses and excites children as it moves in all directions! 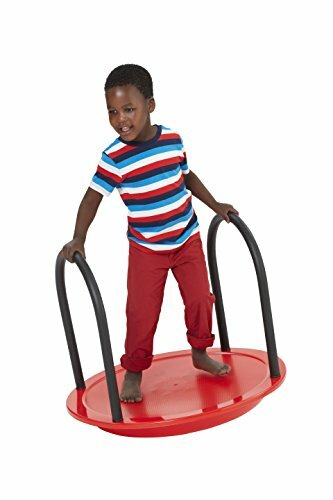 The Round Seesaw is particularly suited for smaller children (ages 3-5) and can be used by one child alone or two children simultaneously. The robust handles are covered with soft foam. Can withstand weights up to 125 pounds. Grades PreK-K. Ages 3-5. Oversize shipping charges apply. For one or two children. Handles are covered with foam for added safety. If you have any questions about this product by Gonge, contact us by completing and submitting the form below. If you are looking for a specif part number, please include it with your message.